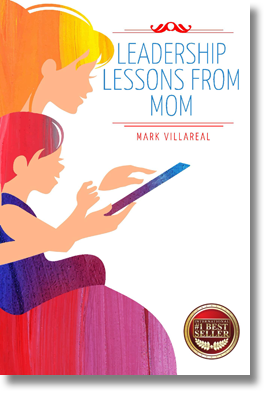 Mark Villareal has a passion for developing people in a manner that helps them achieve their goals. Mark has been helping business leaders succeed for 35 years. He’s a published author, speaker, and has been a guest on Talent Talk Radio. He continues to thirst for learning opportunities and strives to demonstrate his humility and Christian faith through all that he does. P: Tell us a little bit about how you came to this fabulous passion and purpose in life. MV: Well, I’ll explain it like this. First, it was how I was raised. I think our parents have a big impact on us. Both my parents did. I’m the youngest in the family of seven kids, and so I had a special relationship. I quote that my mother was the best leadership coach who chose to be a housewife. A lot of what I teach and what I’ve learned is from the values and principles that she taught me growing up that relate to everything about business today. P: That’s amazing. Tell us a little bit about how you’re contributing in your business today. MV: I will say this. You mentioned for 35 years in business. I’ve been in this current business that I’m in for 20 years, but through all of that, I have had that passion for leadership. Passions for developing future leaders, current leaders, and maintaining leaders that need to keep learning, developing, and growing leaders underneath them. That’s the passion that I have and what I do is for impact within our organization. I’ve been on the organization of our corporation side. We are a franchise organization, so I’ve been on the franchisee side as well. Currently, I’m with the largest ownership group of the company, so we have a lot of leaders to develop, especially when you build succession plans. That’s the passion that we talk about on how you build road maps to success, how you assess the next leaders and develop, and then how you teach them to build road maps for their people underneath them as well. P: Tell us a little bit about what you think are the most important components to leadership, and then we’ll get into your book, because it’s so powerful. MV: I believe the first component is who you are first as a person. It starts at the top on leadership, and it starts with the very foundations of what values and principles that you set, and how genuine you are. When I talk about values and principles, I talk about mine personally. The first one is humility. I believe the best leaders believe humility is a strength, not a weakness. Therefore, they build upon that. Then, they have respect, integrity, initiative, accountability, with each one they need to hold to, and every decision that they build from there for their business and for their organization and for their people point back to those. Someone who has humility first will hire people smarter than they are, so they can continue to learn from them as well. Also, they will admit their mistakes and be seen genuine by their people. When you have that foundation, everything else built on top of that is on solid ground. The reason I wrote my book is from the humility that I have something to share. I believe and have demonstrated that I have a gift to build leaders, to identify future leaders, and to identify what steps it takes to build them to success. By understanding that, humility is that hunger that you want others to learn and you want others to succeed. The difference is in the humility, you realize that when you focus on others’ successes, yours will come naturally. It’s not about me in that extent. It’s about you. Let me focus on your goals, and I become successful because you succeeded. P: Thank goodness that your definition of humility included you writing this wonderful book. Start with the title of your book, and tell us a little bit about why you wrote the book. MV: As mentioned, I’ve been in leadership and developing leaders and coaching. 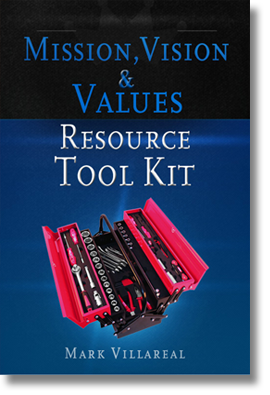 I’ve worked on manuals for a corporation and different aspects on what it takes to train people. It’s always that you have something to share, and a passion. This is something I wrote. Shortcuts Get You Lost is a story about teaching people, first of all, that if you take a shortcut and you get lost, you have to go back and start from where you took that shortcut, and therefore, it takes you longer than what it would have, had you not taken that shortcut. That’s a lesson I learned from my mother when I got lost going home from school and tried to take a shortcut. She also taught me that had I succeeded, I might have created bad habits to take more shortcuts in the future. That’s the danger of a shortcut. 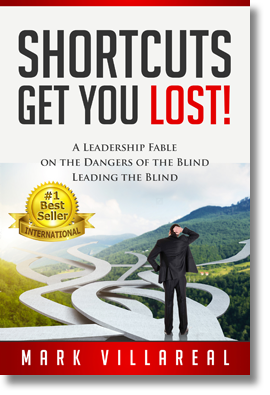 With my book, I had something to share with Shortcuts Get Your Lost that really, I made each chapter so it builds on the next chapter. It starts with the foundation of who the leader is and why that’s an important role, and the responsibility of that leader, and the things that they have to think through. They have to assess and make sure that they map out for their people for success to be built on top of that. P: Tell me, what do you hope readers will take away from your book, Mark? MV: I hope is that it encourages readers to realize that they can make a difference. Each day it’s like, “Can you make a difference with one person?” We have a millennial workgroup coming in, and I have found that they really have a hunger to want to be led. People look for leadership. They look for those leaders to follow, whether they know it or not. You see that when they find those leaders, they will follow. They want to learn. They have a hunger, and the millennial group right now has a passion. They come unafraid, and they have a courage that they haven’t seen before. That’s what excites me. I really just like to see other people want to get involved, and hopefully the book helps them to see from a perspective. It’s written in a fable form that, “This is something that I can apply, and this is something that would work in my business.” It not only works in businesses, it works in life as well. P: Mark, if we were to look beyond just the readership, if you were to look at the work that you’re doing in general around leadership and how that might impact the world, along with your book, of course, almost as if it were a legacy, what would that look like for you? MV: I think hopefully how it would impact the world is we build one leader at a time, so if we can build better leaders, better leaders that lead with humility and make the right decision they can process. It starts one person at a time. If we can build that, each of us make better decisions. Each of us treating people with respect, I think we’d have better conversations. I think we’d have a better world, and I think that we’d have better results, whether it’s an industry, whether it’s in helping out there in the world socially. I just think that when people see it from that perspective, they really can see that everything they do can make a difference.